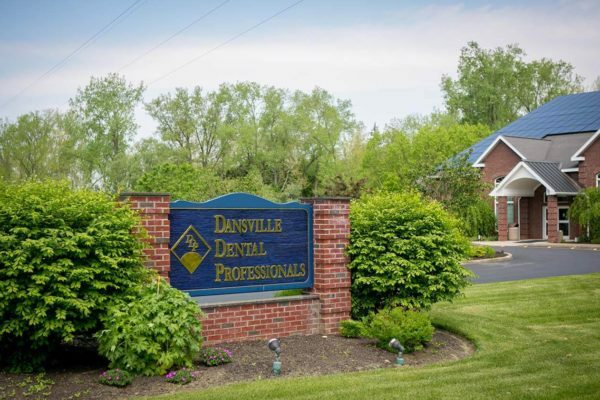 For many people, their family dentist is the health care provider they see the most. Why? Because dentistry is all about disease prevention. By placing a strong emphasis on oral health, dentists help their patients prevent oral and bodily disease. 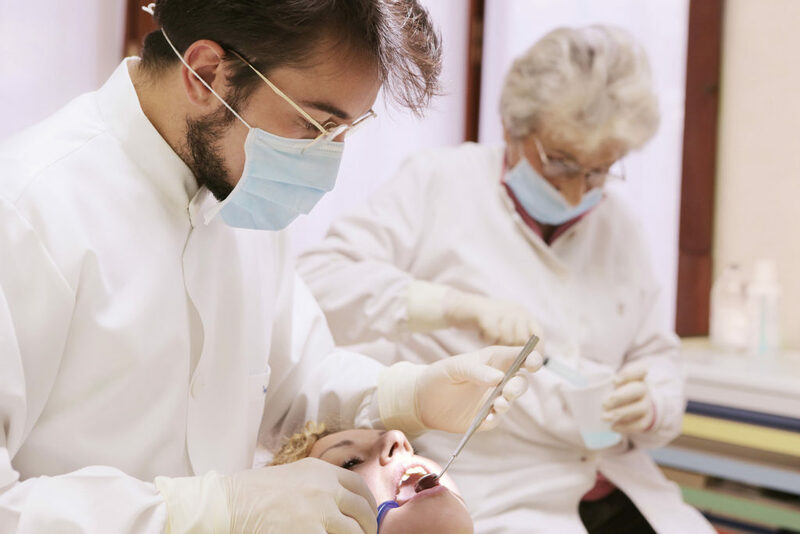 General dentists are the main providers of dental care to people of all ages. A trip to your family dentist may include a teeth cleaning, x-rays, an oral examination, or some form of oral surgery, such as dental implants, wisdom teeth removal, or a root canal. While one wouldn’t necessarily associate a healthy mouth with a healthy body, there have been a number of studies that prove oral health impacts bodily health. Teeth cleanings are an essential part of maintaining outstanding oral health. Over time, plaque and tartar build up on teeth, which can lead to disease and infection. Regular teeth cleanings, usually once every six months, help rid the teeth of plaque and tartar. During a teeth cleaning, your dentist will gently remove any plaque buildup, polish your teeth with a high powered electric toothbrush, give you an expert flossing, and rinse with a fluoride wash.
X-rays are an important part of your overall dental health. X-rays can both diagnose a problem or prevent one by alerting your family dentist to any questionable areas in your mouth. Intraoral x-rays, or x-rays taken inside of your mouth, give a high level detail to your teeth, gums, and bones supporting the tissues of your mouth. 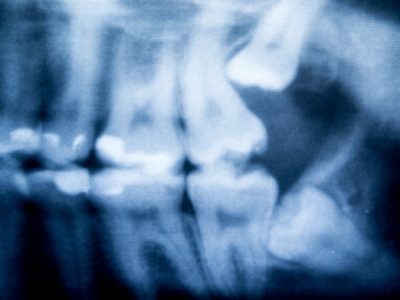 Dental x-rays allow dentists to find cavities, look at tooth roots, check the bones around the teeth, determine if periodontal disease is affecting overall health, review the status of incoming teeth, and monitor good oral health through prevention. A root canal is the treatment to save a severely infected tooth. When bacteria infects the pulp of the root, usually after an injury, a chip or crack in the tooth, or a severe and untreated cavity, a root canal is the corrective procedure to allow patients to keep their natural teeth and maintain their dental health. Most root canals are relatively comfortable procedures thanks to sedation dentistry and can be performed by a general dentist. Many teens and adults need to get their wisdom teeth removed at some point during their lives. When there isn’t enough space in the jaw, wisdom teeth can come in crooked or not emerge at all, which can cause problems and overcrowding in the rest of the mouth. Dental caries, or cavities, are caused by bacteria and plaque that destroy the tooth’s enamel and dentin, or the layer underneath the enamel. Plaque builds up in cracks, grooves, and pits of the teeth, as well as around the gumline and in between teeth. If left untreated, the bacteria grows and infects the tooth, creating a cavity. Your general dentist will be able to tell if and where you have cavities as well as treat them. Fillings and crowns are prosthetic devices that attach to an existing tooth or implant. Crowns are most often used to cover a damaged tooth or implant. For those who have cavities, fillings are used to treat and prevent the cavity from spreading. How Often Should You See Your General Dentist? It depends on your overall health, but we generally recommend seeing your family dentist every six months for a regular checkup. We love watching our patients over the course of their lifetimes as they grow with our practice. 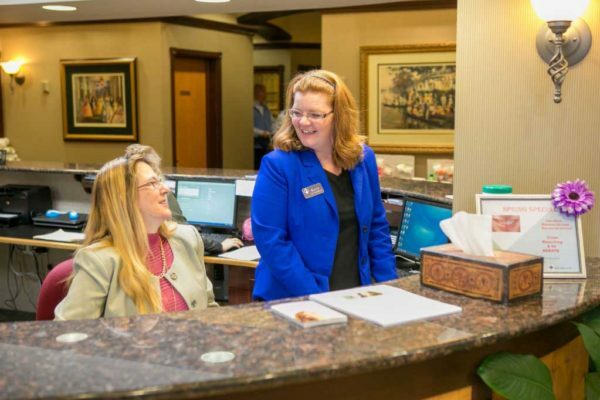 We are proud to serve generations of families and to continually meet the needs of you and your loved ones. Contact us to set up an appointment or consultation today.